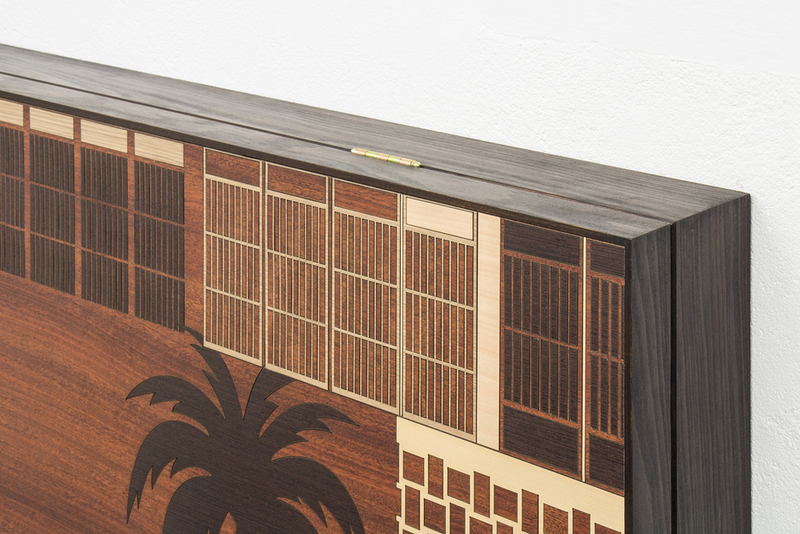 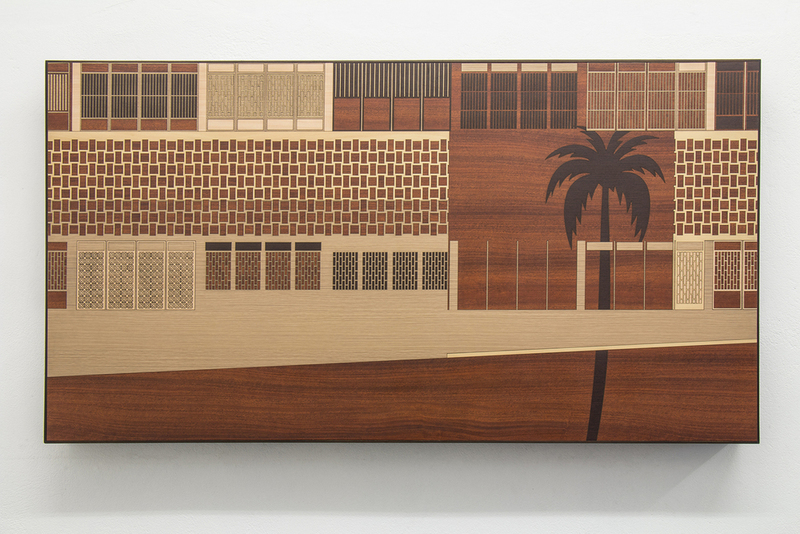 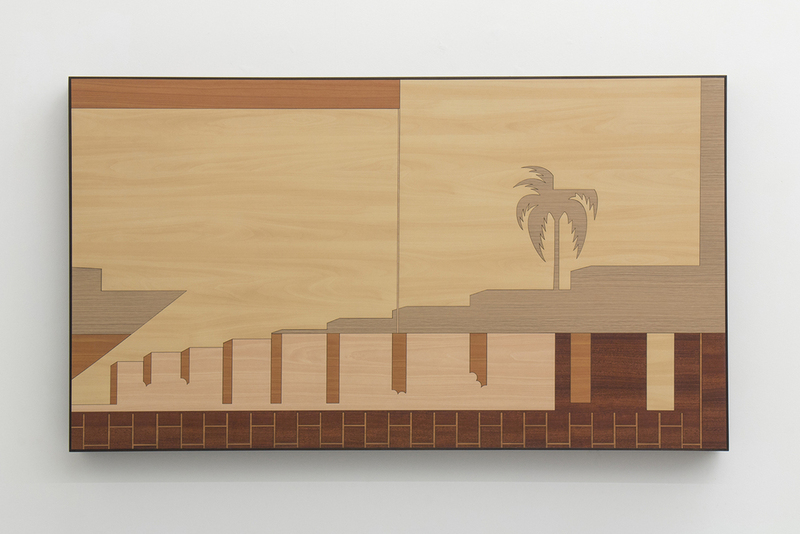 Brazilian Landscapes (20013/2014), are fake boxes, of fake marquetry, portraying Brazilian landscapes. 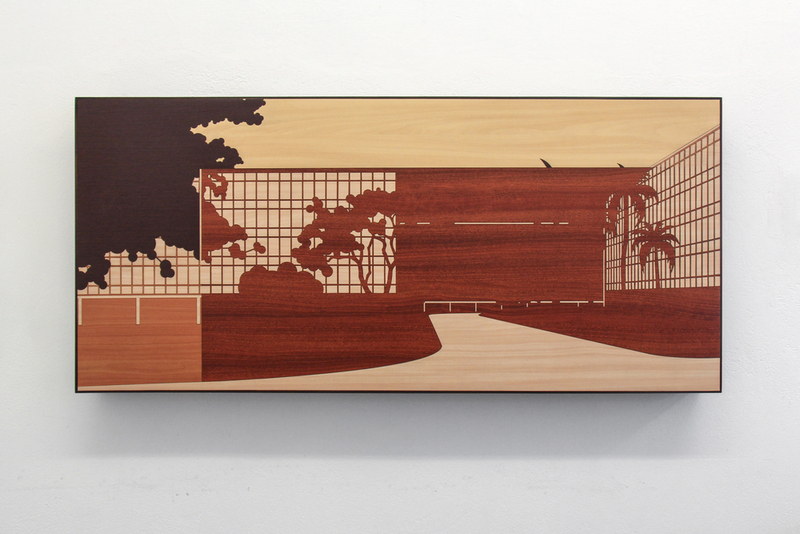 More specifically Brazilian modernism buildings in Brasilia. 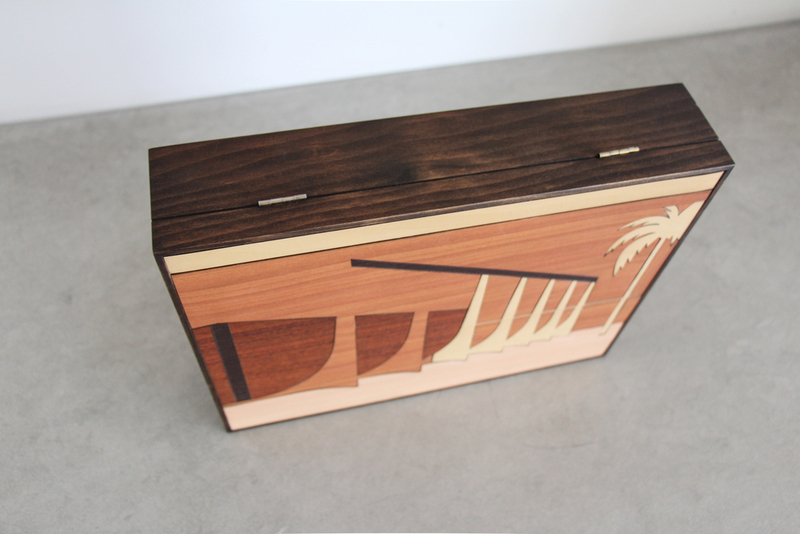 Made of Formica (and not wood), laser cut (and not manually) these strange boxes doesn't open.